It’s a proven fact that my brain lacks the ability to fully comprehend anything Tolkien-related. Otherwise I can’t really explain my distaste for the many fantasy epics that so many others love. It is with that foundation that it must be said that the final film in “The Hobbit” series has two things going for it: it’s officially the shortest of all these Middle Earth-set films and it’s most definitely the last (at least for some time). “The Hobbit” prequel series have always felt like a series of films made especially for strict fans who can’t get enough of Middle Earth. Odds are if you’re into fantasy films and enjoy seeing hobbits and elves and dwarves and other fantastical creatures fight each other odds are “The Hobbit” is right up your alley. But is it a fitting ending to the trilogy? “The Hobbit: The Battle of the Five Armies” is mostly all action and why shouldn’t it be? Filmmaker Peter Jackson, who could practically make one of these films blindfolded by now, had two films to set up the plot and characters and get his audience invested in the story. If you were invested in the first two films you’ll most likely care about who lives and who dies in this third chapter. If you recall, we left off with the dragon Smaug being unleashed on the town of Laketown. The film opens with a rousing disaster pic set piece as Smaug attacks the small city. It feels like a great opening but it also feels like it should have actually been the ending of the previous film. How much of an awesome cliffhanger would it have been to not know whether Bard (Luke Evans) and his son were killed in the destruction? I personally can’t distinguish these three Hobbit films from each other very well. They all feel like one cohesive narrative, so I’m not sure that one is really better than another. And the evenly paced film nice and neatly leads right into the beginning of The Fellowship of the Ring. This last entry has the most action and fighting so that’s either a good thing or a bad thing depending on what floats your boat. Odds are if you’ve enjoyed the first two films there’s not much to complain about here. It won’t necessarily make anyone beg and plead for yet another trip to Middle Earth and I’ve certainly had my share. 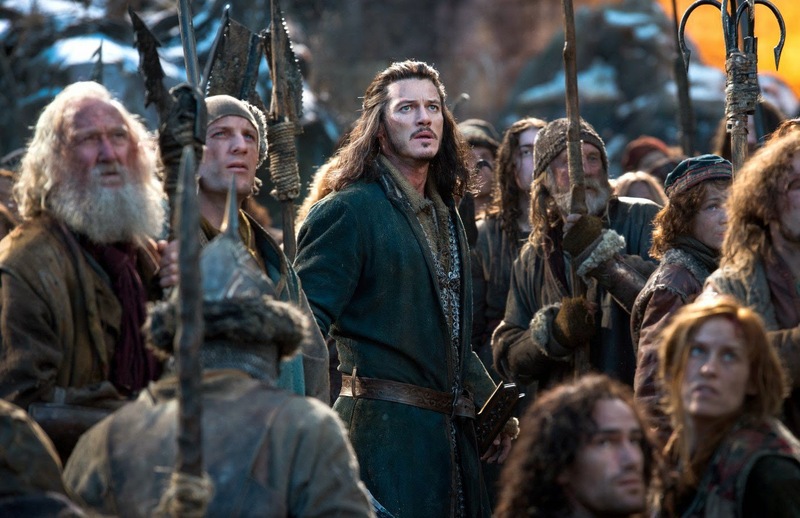 Trailer for The Hobbit: The Battle of the Five Armies on TrailerAddict.